La Instructora (from Tabacalera Palma and created by Jose Blanco and Aaron Saide) is a fairly recent cigar line, having only come onto the main stage of the cigar world at IPCPR 2017, as reported by Halfwheel. I first noticed this cigar at Barclay Rex‘s downtown location, and thought the $20 price tag for a nearly unbranded, unknown cigar was pretty gutsy. So I decided to give it a try. I’ve got to say, early on in this smoke, I was not impressed. Though the first half opens nicely, it isn’t $20-cigar-nice. 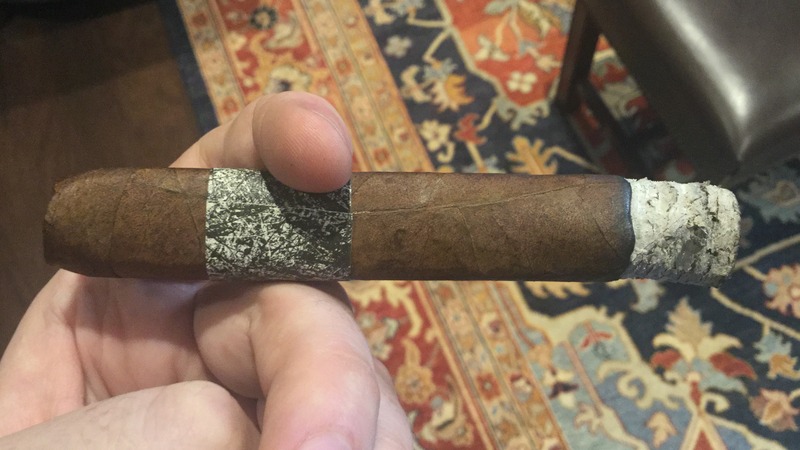 However, the second half of this cigar took me for a real adventure–one that I hope to enjoy again! “We decided to call this box pressed cigar Box Pressed because it sounded really nice and it was Thursday. This cigar embodies a smoke packed with uniquely intense flavors made for those that crave more. The Brazilian Cubra wrapper of La Instructora is slightly marbled, with minimal veins and imperfections. The cigar is box pressed. Not much to say on the band. It looks like a modern art piece and for a $20 cigar is not particularly attractive (alright, I’d say it’s downright ugly). At the very least, I’d like to be able to read the band so I know what I’m smoking. Pre light draw reveals pepper, chocolate, and wood notes. La Instructora 2 opens with medium to full bodied Smoke. The notes create a slightly sweet campfire flavor. Spices, espresso, light chocolate, and salted peanuts. The finish is long and spicy. By an inch in, the body is medium, with predominant notes of wood, peanuts, spice, and touches of chocolate. A good start, but for the $20 price tag, I’m hoping for more. Moving into the second third, the smoke becomes almost tangy, tickling the top of my tongue. There are touches of white pepper, nuts, and a slightly buttery sweetness. At halfway, the body and strength increase drastically, adding an intense, finely ground black pepper, baking spices, and leather. The texture is musty, almost similar to the classic mustiness that Davidoff is famous for, but darker. The cigar really takes off here. In the final third, the smoke is still full bodied, full strength flavor. 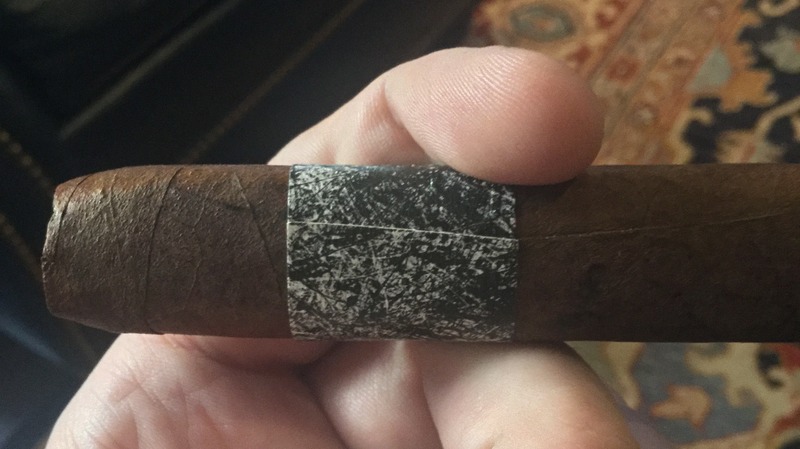 The profile introduced at halfway really is delicious, and has the kind of complexity that I would look for in a $20 cigar. Very enjoyable. The final third brings the first two profiles together in a very balanced and enjoyable way: finely ground black pepper, spices, chocolate, peanuts, and leather. After a nice but not particularly interesting opening, La Instructora’s second half explodes into a robust, deeply complex cigar. I would gladly pay $20 to smoke this cigar again. Will La Instructora and Sans Pareil succeed in breaking in to the ultra high end market? We’ll see – but I’m hopeful about their chances.